Unless you’re very familiar with buying and selling homes, hearing people talk about the process can sound like a whole lot of gibberish. 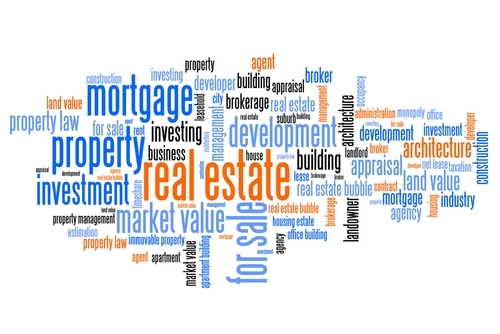 There’s a lot of jargon that’s only used in real estate, which makes it difficult for first-time home buyers and sellers to keep up with what’s happening. It’s very important to understand exactly what it is you’re signing, however—after all, this is probably one of the biggest financial transactions you’ll ever make. It’s definitely worth making the effort to understand some of the most common real estate terms. That way you’ll have confidence that you’re making the right decisions—and you’ll be able to understand what your real estate agent is saying, too. Adjustable Rate Mortgage:This type of mortgage has an interest rate that can change and is typically much shorter than a fixed rate mortgage (see entry below). Common lengths are 5, 7, or 10 years. This type of mortgage can save you money if you don’t plan to keep the home for a long period of time. Appraisal:This estimate of your home’s value is an essential part of the buying or selling process. The trained appraiser will assess your home’s features and condition, and then compare it to similar ones that have sold recently in your area. As Is: A term that means the seller isn’t going to make any improvements or repairs on the property before it’s sold. While buying a home as is can be a little more risky, since you have no guarantees as to the house’s condition, it can also be a way to get a great deal. Buyer’s Agent/Listing Agent: When you’re the home buyer, the agent who represents you is known as the buyer’s agent. The seller’s agent is known as the listing agent. Closing Costs: The agreed-upon price of the home isn’t all you’ll need to pay when you’re buying a home. Closing costs are fees associated with the purchase (usually 2-5% of the purchase price) that will need to be paid before the transaction can be finished. These fees typically include such things as title insurance, lender fees, appraisal and taxes. Both the seller and buyer will be responsible for some closing costs, although the percentage to each can be negotiated as part of the deal. Fixed Rate Mortgage: A fixed rate mortgage has an interest rate that doesn’t change over the life of the loan. They’re usually your best bet if you’re planning to live in the home for a long time. A typical length for a fixed rate mortgage is 30 years. Inspection: This thorough examination of every part of a home is done after the buyer has put in an offer. Its purpose is to determine if there are any parts of the home that need repairs or replacement before the sale is finalized. Pre-approval Letter: Not sure how much home you can afford? This is where a pre-approval letter comes in. You bring your financial information to the bank, and they review it and tell you how much they’re willing to lend you. Then you can bring this letter to the seller of a home you’re interested in to establish that you’ll be able to get a loan to purchase the house. Title Insurance: A title insurer is the person who searches through records to ensure the seller of the home actually had the right to sell it, and that there are no liens (for example, for unpaid taxes). Title insurance is generally required by the mortgage company to be paid as part of the closing costs (see entry above). Underwriter: Although you probably will never meet the underwriter of your mortgage, he or she is the most important person associated with it. It’s the underwriter’s job to ensure your financial information meets the loan guidelines and to see whether they have a reasonable expectation that you can pay the loan back. They also review any extenuating circumstances to ensure they have all the information they need. We know that buying or selling a home can feel overwhelming at times. Understanding real estate terms will help you feel more in control of the whole process.